Okay, there's something I've been meaning to get off of my chest lately. First I need to write a little disclaimer: I love Pixar and their movies and I think they're stories and animation is in a completely separate league of their own, and most other animated movies pale in comparison (except maybe Dreamworks, they old their own also). With this in mind...I shall begin my little rant. I think Pixar is wasting time with some of the projects they've been doing. Mainly, "Cars 2." Yes, I thought the original "Cars" was very cute, original, etc. However...it's only been a couple years since the original, and they already made a second one, when there are older movies that NEED to have a sequel (that is, since Pixar is set on making a bunch of sequels now). Usually, Pixar makes great sequels. They're the only company that was able to make a third movie out of a beloved and cherished original and knock them all out of the park on completely different levels (Toy Story...of course). Personally..the main reason to this little rant is a cry for a sequel to these movies: "The Incredibles" and "Finding Nemo." These two movies are just too amazing to pass up a sequel!! "The Incredibles" nearly set up a sequel with their ending perfectly! Just make the children older and set up some sort of unique conflict. The brilliant minds of Pixar can definitely think of something! Sure, it might be a little difficult to think of something for "Finding Nemo 2," but come on...they made a "Cars 2" about a secret agent team in Japan. They totally threw away the original meaning to the first movie, about staying grounded and learning about what matters most in life. This is the main reason why I am so opposed to "Cars 2." I watch the Ellen Degeneres Show all the time, and she is constantly talking about how she would absolutely love to make a "Finding Nemo 2." 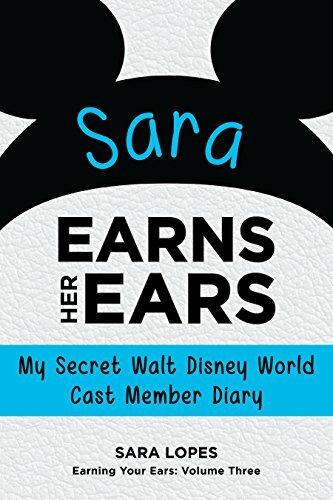 Even in her latest book she has a chapter that has a lot of dedication towards mentioning why there should be a second movie. Some people say they shouldn't make a second because they might make something terrible in comparison to the first. I say, look at Toy Story 1, 2, and 3. They're even thinking about making a fourth (which I think could be pushing it). Pixar can definitely think of something for "Finding Nemo 2"! Personally, I think they need a sequel for "The Incredibles" more than "Finding Nemo." There have been rumors of a second one in production or brainstorming ideas, but nothing has been confirmed. There have been random websites that mention the second one will be released in 2016 or something really far away like that, but I've seen the latest line up for Pixar's list of future movies, and it doesn't have any type of "Incredibles 2" anywhere. Okay, I'm done. Sorry about this little diversion from the usual topics I post about, but I felt like this was an appropriate place to express what I've been thinking. On a positive note, I'm pretty excited for their new movie "Brave." Kind of reminds me of "How To Train Your Dragon" and "The Hunger Games" (which I'm totally ecstatic to see!!). Here's a list of all of Pixar's current and future movies in production. Oh by the way....I just discovered last night that I'm going to Disneyland in a week!!! My best friend and I were going down to Southern California to visit possible colleges we can transfer to, and we had an extra day to spare either for Disneyland or touring Warner Bros. Studios. Surprisingly, Disneyland would be cheaper!! Ahh I'm so excited!! If you have any opinions on anything mentioned in my little rant...feel free to share:) I'd love to hear what other people are thinking. ~~For more updates and news on all things Disney, please subscribe to The Disney Den now! New Animation Hotel in Florida!